Our review: Pale straw in color, this wine exhibits aromas of citrus (grapefruit, lime) and vegetable (bell pepper). Crisp on the palate, the tart flavors are well-balanced, not unlike freshly squeezed limeade. There's a hint of tropical fruit sweetness present. A touch of astringency emerges into the finish, but dissipates quickly; the finish is clean though relatively thin. Our rating: This is a very nice example of this New Zealand varietal, nicely complex but not overwhelming. We enjoyed our bottle with broiled fish fillets, a fine pairing. Consider serving this wine with any seafood dish, especially those that may be on the spicy side. 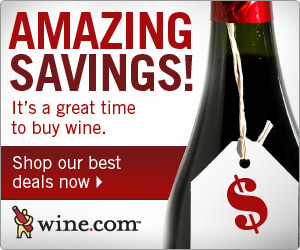 We bought our bottle on sale, and as such consider it a great value for this Above Average to Excellent wine. Taste profile from the winemaker: "The wine is pale straw in color with green highlights. Aromas of ripe gooseberry and capsicum dominate with tropical melon and grapefruit notes apparent. This wine displays full fruit intensity. The ripe capsicum and gooseberry flavors with hints of pungency sit well with the supporting tropical fruit flavors. A well-balanced wine showing the crisp, vivacious acidity associated with this style." Winery website: Brancott Estate Limited.